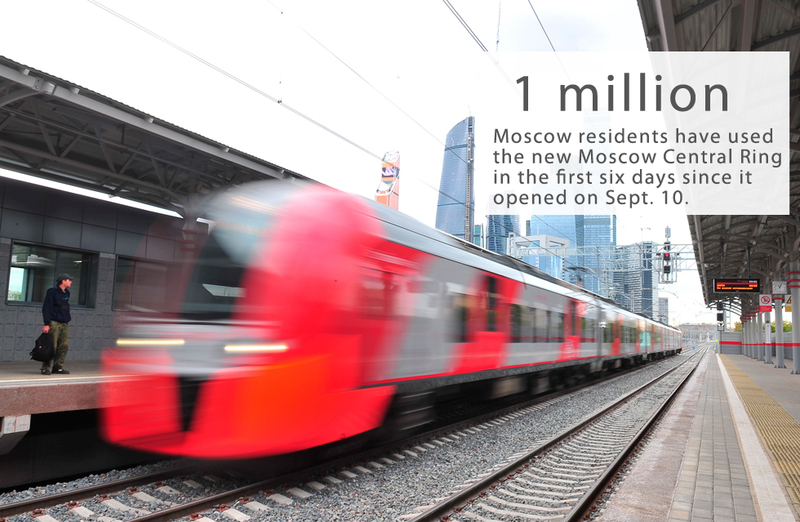 Number of the week: How many passengers are using the new Moscow rail link? The new Moscow Central Ring overland rail link has been used over 1 million times already, according to Dmitry Pegov, chief of the Moscow metro. The millionth passenger received a brand-new tablet and a Troika rail pass on Sept. 15. The new transport, an equivalent of Germany’s S-Bahn and the London Overground, has 31 stations (now only 26 are currently open) and is able to carry up to 400,000 passengers daily.